Due to water restrictions caused by drought, commercial boating traffic may be reduced or even halted by boating restrictions in an attempt to save water. The Missouri River is suffering from the worst drought that’s been seen in nearly 60 years and businesses could suffer heavily from it. The Missouri River outputs around 60% of the Mississippi’s water, but with the drought causing the Mississippi’s water levels to be lower than normal the Missouri is having to output more water and is accounting for roughly 80% of the water flowing in the Mississippi. The Army Corps will start reducing the amounts of water being released from Gavins Point Dam to conserve water in the reservoir, which is water going from the Missouri River to the Mississippi River and will cause water levels in the Mississippi to be lower than normal. Water levels this low will cause boating restrictions which could have an impact on businesses that depend on this waterway. With water levels as low as they are, barges and boats have been running aground, and even stalling river traffic. To keep commercial boats from becoming stuck they will have to lighten loads, which will mean less efficient shipping and higher prices to consumers. To raise a commercial vessel 6 inches from the water they lose roughly 100 tons of cargo. Yahoo! News featured restricted barge traffic. (Reuters) – Commercial barge traffic on a critical stretch of the Mississippi River south of St. Louismay be severely restricted or halted entirely next month as drought conservation measures stem the inflow of water from the Missouri River, government and industry sources said on Thursday. With the worst U.S. drought in 56 years sapping the reservoirs that feed the Missouri River, the flow of water from Gavins Point Dam, the system’s southernmost dam near Yankton, South Dakota, will be reduced beginning in the third week of November, the Army Corps of Engineers said. “In September we had the lowest inflow month that we’ve seen in our system since we began keeping detailed records in 1898. We only got about 25 percent of normal inflows,” said Monique Farmer, spokeswoman for the Army Corps of Engineers Northwestern division. “When we did our September 1 storage check we saw that water levels had decreased (from midsummer) and we made the decision that we had to take drought conservation measures during the winter,” she said. The Army Corps will incrementally reduce water released from Gavins Point Dam to about 12,000 cubic feet per second and maintain that flow through the winter to conserve water in the reservoir system. The water released through the dam during the winter is normally between 12,000 and 17,000 cubic feet per second, Farmer said. The Missouri River normally accounts for about 60 percent of the water in the Mississippi Riverbetween St. Louis and Cairo, Illinois, a key stretch of the major grain shipping waterway that connects farms in the Midwest with export terminals at the Gulf Coast. Gasoline, coal and other commodities are also shipped through the area. However, water on the Mississippi River was also reduced by the drought so the Missouri River accounted for an unusually high 79 percent of the flow in that stretch this season, said Michael Toohey, president and CEO of the Waterways Council, a public policy organization representing ports and shippers. “If those flows are reduced, navigation may be interrupted on or around December 10,” he said. 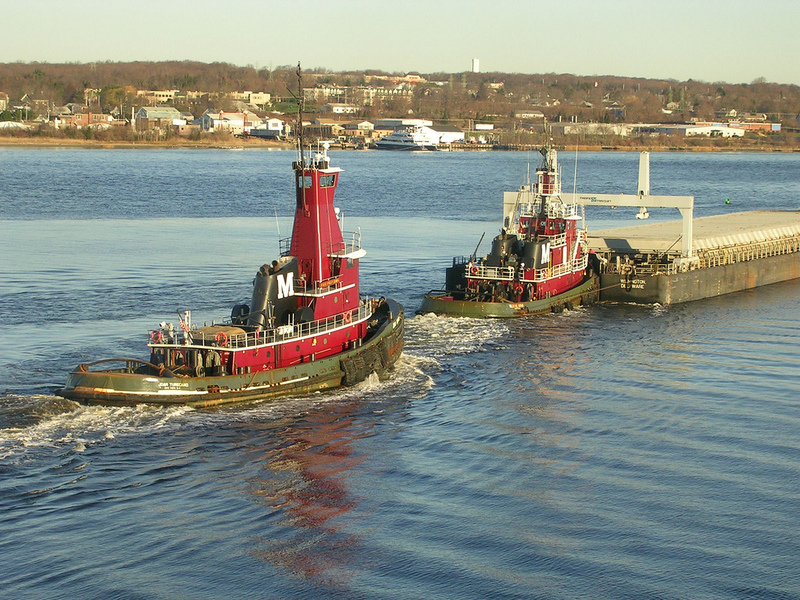 The Army Corps has been dredging the Mississippi almost nonstop for months to maintain a navigable channel, but scores of barges and boats have still run aground, snarling river traffic at times. “The critical area is between St. Louis and Cairo, where we transition from locked river to open river and before we get all that water from the Ohio,” said Mike Petersen, spokesman for the Army Corps’ St. Louis district. “We can see flows change by a couple of feet at St. Louis as those flows decrease from the Missouri. We project that we will see the impact here in early to mid-December and we’ve been dredging with that in mind since the beginning of the season, knowing that it’s been such a dry year,” he said. River-bottom rock formations in two areas could be blasted to deepen the channel, but obstacles including contracting procedures and environmental assessments could delay the work until February 2013, he said. Without significant rainfall in the western Corn Belt over the next few weeks, the river could recede to levels that prompt the U.S. Coast Guard to implement restrictions on tow sizes and drafts, reducing the volume of grain or other cargo that can be loaded on barges. River forecasts suggest that drafts could be restricted to 9 feet, the minimum draft for many tow boats, or possibly less. Draft restrictions of 8 feet could sideline many boats and prompt others to navigate the area with as little fuel as possible to avoid grounding. Barges will also be loaded with less cargo, which would drive up freight costs as shippers would need more barges to haul a set amount of cargo and as tow boats would burn more fuel making more frequent trips, barge operators said. 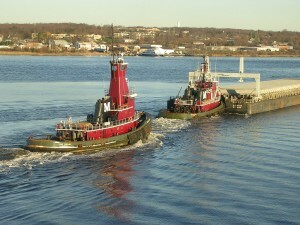 Barges lose about 100 tons of capacity for each 6 inches of reduced draft, they said. The Mississippi River is the main shipping waterway for grain moving from Midwest farms to export facilities at the Gulf of Mexico. Some 55 to 65 percent of U.S. corn, soybean and wheat shipments exit the country via the Gulf. The boats making deliveries will have to make more trips to get the company product shipped, which will cause more fuel to be consumed, along with employees working more hours with less output. Because of this we may see spikes in price on groceries and other products. Hopefully the drought ends and the boating restrictions are eased up soon.